Working with Linda has been the best experience we could have ever had with a Realtor. From 1 to 5 rating, she is without a doubt a 5 as a professional, great knowledge, 100% responsive, knows the market. Linda was always available to show the property and communicate with potential buyers. Linda was able to advise on the correct sale price for my property based on market values.Definitely the best agent you can have to represent you in any of your real state transactions. 100% happy with her services, an amazing Agent! Totally recommend her. I worked with Linda to find and purchase an apartment a 1/1/ for my daughter. We found it and bought it. She was always professional always available, competent and knowledgeable always very kind and ready to help. I will work with her again in a hart beat. A very big help. I interviewed a number of realtors, and Linda stood out by far! Her professionalism, knowledge of the local marketplace, and responsiveness were the the reasons I chose Linda! Highly recommend! 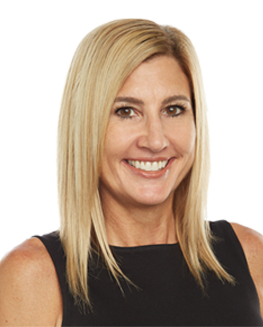 Linda is a consummate professional who helped us sell our home in Sunrise last week. It was a long and protracted journey with potential buyers unable to close due to funding issues. Nevertheless, Linda marched forward reassuring us at every turn that we will sell the home, and sure enough we did! Linda was responsive to text messages and voicemail and she always kept us informed. What is remarkable about Linda is that she is a willing to go the extra mile for her clients and that is what sets Linda apart from others. We thank Linda for her tireless efforts to sell our home and we recommend her highly to prospective home buyer and seller. Linda is a caring, hardworking, down to earth realtor. She is always available to listen, help and advise. My mother and I enjoyed working with her. We are extremely pleased with the sale of our previous home and the purchase of my mom's new condo in Sunrise. Linda is a pleasure to work with. She is extremely efficient, responsive, and detail oriented. We absolutely loved working with her during the process of selling our home.!! Linda made the home search and purchase so smooth. She is very responsive and easy to get hold of. Linda negotiated a good and fair purchase price. She has an exceptional and usable grasp shat is going on in the real estate market. Linda is an outstanding realtor to work with. Linda, was amazing to work with. Easy to contact at anytime. Always picked up the phone and answered text, promptly. I would recommend her in a heart beat to anyone. I was help by Linda to going through my first house . I like the attitude how she deal to make the offer , can help with inspection good people . patient and very nice. Linda made the process of finding and buying a new home so easy! My mother and I were looking for 55+ condo after she had a new liver transplant. Linda was kind, patient, and genuinely cares about her clients and her work. She gave her honest opinion, advocated for us, and was always on top of it! I can't imagine having a more positive experience. I highly recommend Linda and I can't find enough good things to say about her! Two years ago I met Linda who was my daughter's realtor. and I became very impressed with her, with her personality as well as with her abilities in this field. This year I decided to move from Miami to Broward and, of course, I got in touch with Linda who made my wishes come true in a very pleasant way.Linda, as she herself has said, loves what she does and for that reason she does it so well. She is a good negotiator, she is always in touch with her clients, she is knowledgeable and she is someone you will always remember with deep gratitude. As an out-of-state buyer, Linda was extremely resourceful and helpful in coordinating a number of things for me. She was incredibly diligent, going out of her way on many occasions on my behalf. Linda was always very prompt and kept me in the loop on what was going on at all times. I would absolutely recommend her to anyone in a heartbeat! Linda is absolutely amazing. She will respond back to you in under a minute if you text her. She is extremely knowledgeable and knows what she is doing. We sent her many homes and nothing ever fell through the cracks. Even after closing on a property she was still there to help with any questions or concerns we were having. We are beyond happy with her services. Linda has become like a really good friend to us. We will definitely be referring our friends and family. Thank you Linda for helping us find our first home together! We had a great experience working with Linda. Was very quick to respond with answers to our questions, pleasant, knowledgeable and great networking skills. She is the best!!! we sold the house in three days after listed and closing in a month!! Bought the house with her too! !So I have both experience with her and love it. Linda was an excellent realtor with assisting with us to sell our condo. She was very knowledgeable about what it took to sell a condo and all the rules and regulations that it entailed. Whenever I had a question, she would always respond right away and never once did I have to leave a voicemail. Linda IS THE BEST and if I had to do it all over again I'd chose her again and again!!! She was by my side during the entire process. Linda was in constant contact with me and was available anytime and any day. She helped answer all my "first time home buyer" questions. I couldn't have asked for a better real estate agent. My entire experience was like none other. I've purchased 5 homes in 5 different states and never have I had a realtor that paid such attention to detail, her response time was impeccable and her due diligence goes without saying because after just a month and a half I am a home owner. I don't recommend Linda as just a realtor because she's much more. She's tapped into that lost art called customer service which places her leaps and bounds over her competition. I'm starting a new movement, it's called Team Linda. Referrals for life.